Family dentistry primarily focuses on children from birth through adolescence. Rutherford dentist, Dr. Frost is proud to offer quality dental care for the entire family including your children. Family dentists fulfill many important functions pertaining to the child’s overall oral health and hygiene. They place particular emphasis on the proper maintenance and care of baby teeth, which are instrumental in facilitating good chewing habits, proper speech production, and also hold space for permanent teeth. One of the most important components of Family dentistry is child psychology. Family dentists are trained to create a friendly, fun, social atmosphere for visiting children, and always avoid threatening words like “drill,” “needle,” and “injection.” Dental phobias beginning in childhood often continue into adulthood, so it is of paramount importance that children have positive experiences and find their “dental home” as early as possible. Family dentists educate the child using models, computer technology, and child-friendly terminology, thus emphasizing the importance of keeping teeth strong and healthy. In addition, they advise parents on disease prevention, trauma prevention, good eating habits, and other aspects of the home hygiene routine. By continuously tracking growth and development, Family dentists are able to anticipate dental issues and quickly intervene before they worsen. Also, working towards earlier corrective treatment preserves the child’s self-esteem and fosters a more positive self-image. Helping parents and children establish sound eating and oral care habits reduces the chances of later tooth decay. In addition to providing check ups and dental cleanings, Family dentists are also able to apply dental sealants and topical fluoride to young teeth, advise parents on thumb-sucking/pacifier and provide good demonstrations of brushing and flossing. 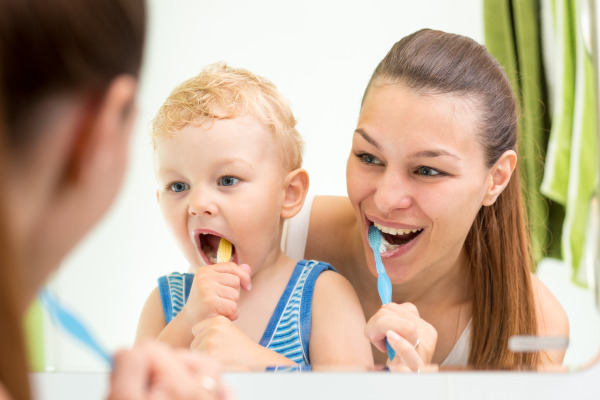 In some cases, Family dentists may discuss the possibility of early oral treatments with parents. In the case of oral injury, malocclusion (bad bite), or bruxism (grinding), space maintainers may be fitted, a nighttime mouth guard may be recommended, or reconstructive surgery may be scheduled. When Should Your Child See The Dentist? According to AAPD (American Academy of Pediatric Dentistry) guidelines, infants should initially visit the pediatric dentist around the time of their first birthday or, about six months after their first tooth appears. During the initial visit, the Family dentist will advise parents to implement a good oral care routine, ask questions about the child’s oral habits, and examine the child’s emerging teeth. The Family dentist and parent sit knee-to-knee for this examination to enable the child to view the parent at all times. If the infant’s teeth appear stained, the dentist may clean them. Oftentimes, a topical fluoride treatment will be applied to the teeth after this cleaning. First visits can be stressful for parents, especially for parents who have dental phobias themselves. It is imperative for parents to continually communicate positive messages about dental visits (especially the first one), and to help the child feel as happy as possible about visiting the dentist. First, the Family dentist and the child need to get properly acquainted. Second, the dentist needs to monitor tooth and jaw development to get an idea of the child’s overall health history. Third, the dentist needs to evaluate the health of the existing teeth and gums. Finally, the dentist aims to answer questions and advise parents on how to implement a good oral care regimen. During follow up appointments the dentist will conduct a visual exam of your child's teeth. In addition to visual examinations, the Family dentist provides thorough dental cleanings during each visit. These cleanings eradicate the plaque and debris that can build up between teeth and in other hard to reach places. Though a good homecare routine is especially important, these professional cleanings provide an additional tool to keep smiles healthy. The Family dentist is also able to monitor the child’s fluoride levels during routine visits. Oftentimes, a topical fluoride gel or varnish is applied to teeth after the cleaning. Topical fluoride remineralizes the teeth and staunches mineral loss, protecting tooth enamel from oral acid attacks. Some children are also given take-home fluoride supplements (especially those residing in areas where fluoride is not routinely added to the community water supply). Finally, the Family dentist may apply dental sealants to the child’s back teeth (molars). This impenetrable liquid plastic substance is brushed onto the molars to seal out harmful debris, bacteria, and acid. The American Academy of Family Dentists (AAPD) advises parents to make biannual dental appointments for children, beginning approximately six months after the first tooth emerges. 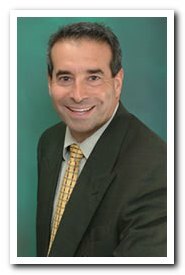 Call nearby Rutherford dentist, Dr. Frost to schedule your child's next appointment. These two important yearly visits allow the Family dentist to monitor new developments in the child’s mouth, evaluate changes in the condition of teeth and gums, and continue to advise parents on good oral care strategies. Call Frost Dental Group to schedule your families next dental appointment. There are several things parents can do to make the first visit enjoyable. Sometimes infants become fussy when having their mouths examined. Having another adult along to soothe the infant allows the parent to ask questions and to attend to any advice the dentist may have. Other children can distract the parent and cause the infant to fuss. Leaving other children at home (when possible) makes the first visit less stressful for all concerned. Family dentists and staff are trained to avoid the use of threatening language like “drills,” “needles,” “injections,” and “bleeding.” It is imperative for parents to use positive language when speaking about dental treatment with their child. Call Frost Dental Group at (201) 438-8870 to schedule your family's next dental appointment. And please feel free to contact our office if you have questions or concerns about your child’s first dental visit.